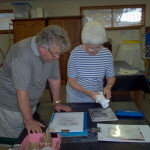 Painting and Drawing - Ettalong Beach Arts & Craft Centre Inc.Ettalong Beach Arts & Craft Centre Inc. These classes are tailored to suit students of all abilities. Students are encouraged to experiment with new media. 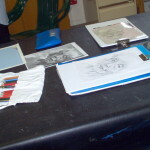 The tutor will work with individuals in their chosen medium to help them develop their skills. If unsure, the tutor will advise you for your chosen medium. Information on painting equipment and pastels will be advised in class. The tutor for this class is Gwynneth Boyce.